hint: remember that there needs to be the same absolute value (DISTANCE) on each side. So if one side has a TOTAL of 5 away from the mean, the other side also needs to equal a TOTAL of 5 away. Hint: Just find the mean! 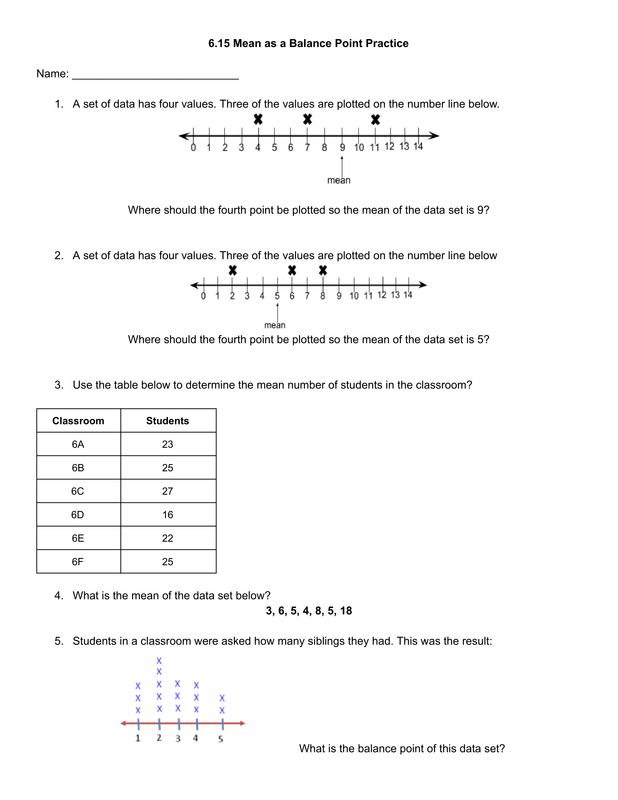 Change the points into numbers and find the average.